This language arts poster is one of a set of 12 posters that explain the different forms of poetry. 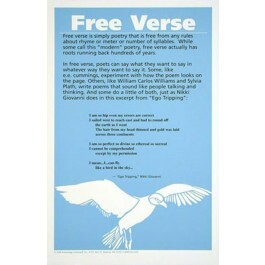 This poster explains what "free verse" is and gives some background on the origins of the form. 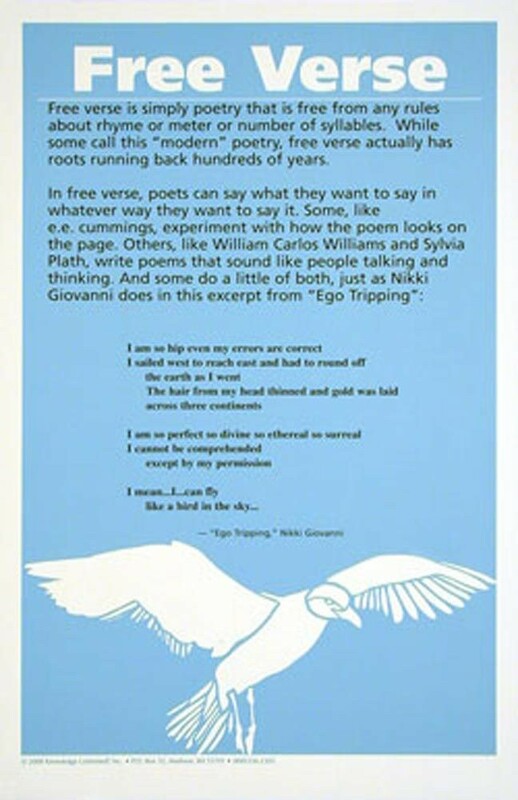 It also features a modern example of free verse -- "Ego Tripping" by Nikki Giovanni.